Beyerdynamic has a bunch of headphones at an affordable price of less than $200. You can find the DT 770, DT 880, and DT 990 with some different versions for each of those models. 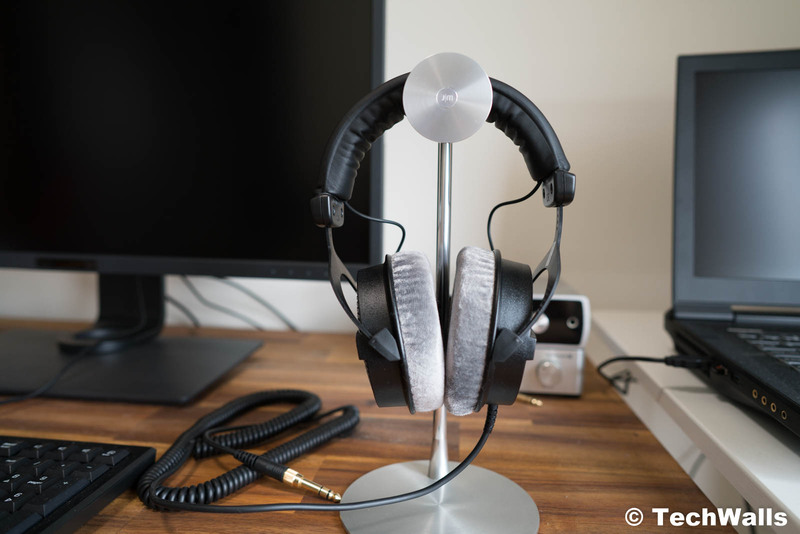 In this post, we’re checking out the Beyerdynamic DT 990 PRO 250-Ohm Studio Headphones and let’s see how they differ from the DT 770 that we tested earlier. 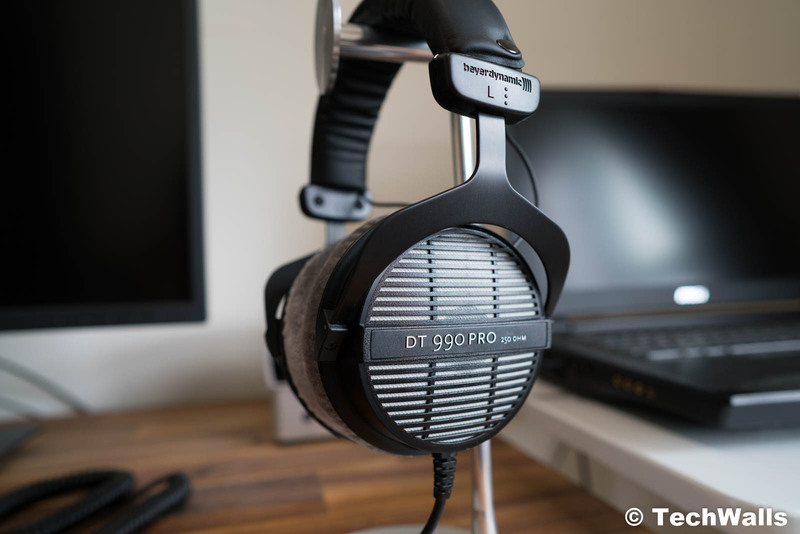 The DT 990 Pro has the same design language as the DT 770 Studio; We are still seeing the same black chassis, plastic earcups, and gray velour ear pads. We are unable to distinguish between the two headphones when just looking at the front. The only difference in the design is the earcups. The DT 770 features a closed-back design while the DT 990 has open-back earcups. If you look at them closely, you can see a circular opening at the center of the cup. That means the headphones will leak a lot of sound to the outside and they will sound different as well. The headphones come with a non-removable coiled cable, a 6.35mm jack adapter, and a drawstring bag. Obviously, they are not designed as portable headphones, so the long cable is very suitable for home use. 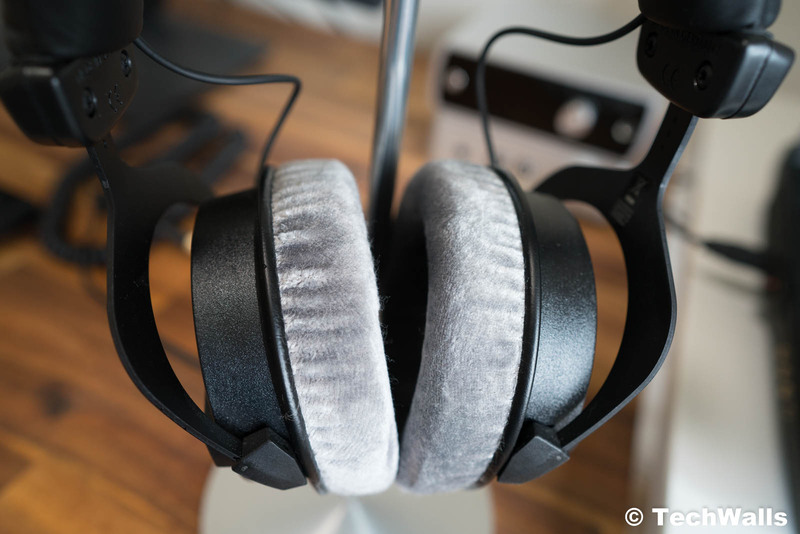 Another great advantage is that the DT 990 Pro is just as comfortable to wear as other headphones from Beyerdynamic. The velour pads are extremely soft and clean, they don’t make my ears sweaty even during hot days with the temperature of over 80 Fahrenheit degrees. I have no problem wearing them for hours to listen to music or watch movies. As soon as I put the DT 990 Pro, I immediately hear the same sonic characteristics as my previous Beyerdynamic headphones. It is still a bright sound with an adequate bass response and very clean mids and highs. Only after some intense listening sessions, I found out some subtle changes between the DT 770 and DT 990. The headphones have the impedance of 250 ohms, that means your phone and computer might have a hard time driving them. You still can plug the headphones directly to your devices but it won’t get the most out of the headphones. The sound can become too silent even when you turn the volume level all the way up. It’s recommended to use the headphones with a headphones amp. 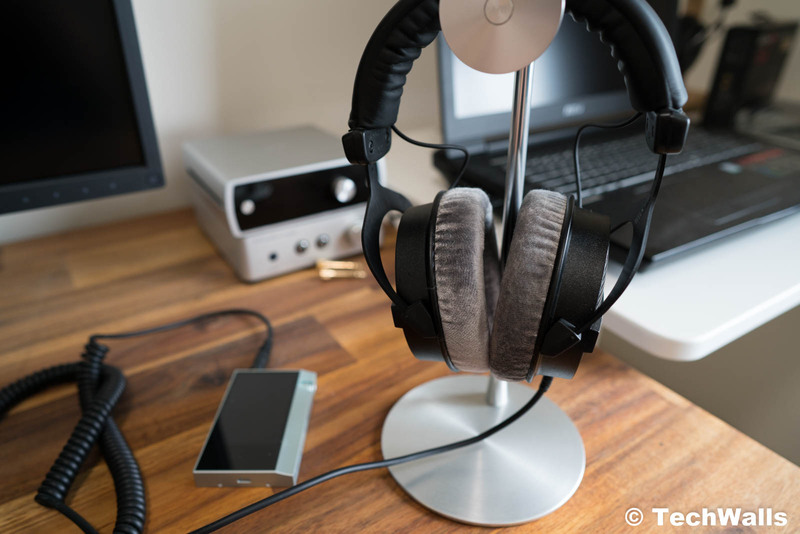 I paired them with the Beyerdynamic A20 and Astell&Kern AK70, both had decent performance. 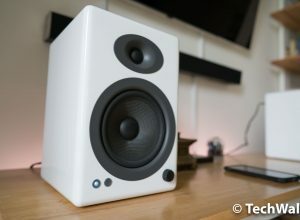 The DT 990 Pro doesn’t offer much in terms of details in the low end, however, I really love the punchy and clear bass. I don’t feel the lack of bass at all even when listening to bass-heavy tracks. As expected, I enjoy the midrange detail and clarity, everything is crisp and clear, so if you are a fan of classical music, you will definitely love these headphones. The DT 990 also excels in the highs, the treble sounds amazingly detailed without causing any treble spike. Having said that, I know many people hate the emphasized highs, so you should give them a try before buying. A feature that everybody loves is the great soundstage coming from the headphones. Thanks to the open-back design, we have a spacious and immersive sound without any software tuning. The earcups have fewer sound reverberations, so the headphones can produce a more open sound. 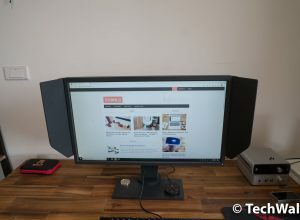 I have no complaint at all when testing the Beyerdynamic DT 990 Pro. The headphones sound better than many expensive headphones on the market. 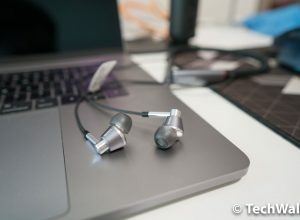 At the cost of around $170, we at TechWalls highly recommend the headphones.